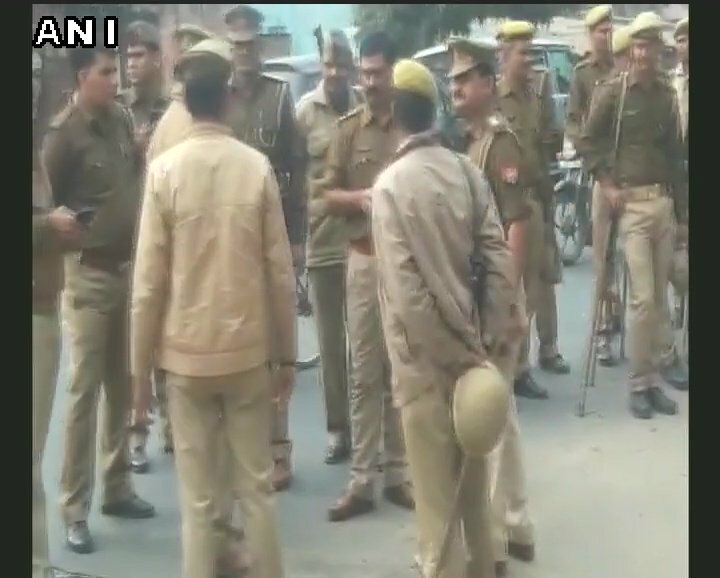 Ghaziabad/New Delhi, Dec 4: A team of NIA and Uttar Pradesh Police was attacked by a mob early on Sunday when it raided a village in Ghaziabad district to arrest a suspected arms supplier linked to the killing of Punjab RSS leader Ravinder Gosain in Ludhiana, officials said. Constable Tahzib Khan suffered a leg injury when the mob pelted the raiding team with stones and even fired at them in Nahali village in Pilkhuwa area, following which officials too fired in the air. The team had gone looking for arms supplier Malook. The mob also damaged an official vehicle in stone-pelting. "We raided the village on a tip-off about some suspects who supplied firearms to the suspects who killed Gosain," a National Investigation Agency official told IANS. The official said a large crowd of both men and women tried to obstruct the team. "Some people even started firing, followed by stone-pelting. The mob also set up multiple roadblocks to obstruct officials from discharging their duties. In self-defence, Uttar Pradesh Police and NIA men also fired in the air," the official said. Police meanwhile said during investigation, an arms supplier's name was found and to nab him, the NIA conducted raids in Meerut from where it found a further lead that the arms supplier who had actually supplied the weapons was Malook, son of Shokeen, resident of Nahali under Bhojpur police station of Ghaziabad rural. The NIA said it is questioning suspects Ramandeep Singh and Hardeep Singh regarding the murder of Gosain, 60, who was shot dead on October 17 near his house while returning after a morning RSS meeting. The NIA took over the case from Punjab Police following a November 16 order by the Home Ministry. The killing was the latest in a series of murderous attacks on right-wing and religious leaders in Punjab. The NIA had re-registered a FIR for murder and other offences under the Indian Penal Code, Unlawful Activities (Prevention) Act and the Arms Act.